Jennifer Rowan is a Pittsburgh Psychic Medium and Reiki Healer who can help you in all areas of your life. She has trained at Lily Dale, NY, with several very prominent Mediums including Sharon Klingler and Neal Rzepkowski and received additional study and mentoring by a Spiritualist-trained Minister of the Fellowships of the Spirit along with various other local psychics who work nationally. Her metaphysical skills include Advanced Mediumship, Public Mediumship, Reiki Healing Level I and II, Meditation, Psychometry and Past Life Readings through Edgar Cayce's A.R.E. Jennifer also has a business certificate and Ministry License through Universal Life Church. 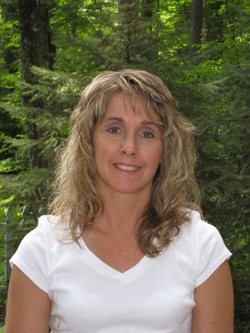 Jennifer’s goal is to provide guidance to as many people as possible and help them grow spiritually. She will counsel you in any area of your life (relationship, career, health and finance) and help you break any unhealthy patterns you may have developed, so you may reach your highest potential. She is very dedicated to this work and her own growth and development as well. Her readings are honest, accurate, and detailed, and she is very trustworthy. Jennifer participates in various local psychic fairs, expos and events and has provided readings at the First Spiritualist Church of Greater Pittsburgh occasionally on Medium Sunday. During their church service, she also has demonstrated mediumship to the congregation. In addition, she has done some public message work at Forest Temple in Lily Dale, NY. Jennifer also provides private readings (in-person, via telephone or Skype) by appointment and is available to work parties and other special events. If interested in any of the above services, please email me at: angelsbwthu@yahoo.com﻿. This is my preferred method of communication. However, should you need to call, you can leave a voice mail at 412-736-3047 (cell). Please provide your name, email address and phone number and you will be contacted via email within 24 hours (unless you do not have email).